Peanut butter and jelly, apple pie and ice cream, Tom and Jerry, movies and great cars, now that’s a combination we can get behind. Here are our picks for the top ten movies that feature exotic (and the coolest!) cars that made us fall in love. 10. Cadillacs, Bentleys, Aston Martins, Ferraris, Jaguars, Lamborghinis, and a whole lot more - Gone in 60 Seconds – 2000 – Hillary, Gina, Angelina, Denise, Lindsey, and Mary joined a host of their sisters in this fast paced, action packed film about car thieves – but they had a really good reason! This was a heart stopping parade of some of the hottest, most beautiful cars on the planet. But we can’t go without mentioning the lovely Eleanor. The epitome of the one that got away. 9. 2000 Ferrari 550 Maranello – The Family Man – 2000 – This feel good movie was a modern take on “It’s a Wonderful Life” but George Bailey never drove a car like this! No, Jack Campbell slid behind the wheel of a cherry red Maranello and took us for a ride. Granted, the Ferrari was replaced by a minivan, but we can all dream that he held on that is brazen beauty, even if to just take her for a spin while the kids are at school. 8. 1981 DeLorean DMC12 - Back to the Future – 1985 – “You made a time machine? Out of a DeLorean?” Those immortal words of Marty McFly will never get old. An oldie but a goodie, the DeLorean will always be the timeless exotic that changed the way we viewed the future. You had to get it to 88 mph to kick the flux capacitor into action and make the time machine work. Maybe in the future all cars are DeLoreans – that don’t need roads. 7. Lamborghini Miura - The Italian Job – 2003 – Most people remember the impressive three Minis in this movie, but we think the star of the opening scene should get some props as well. That orange Miura didn’t last long, but oh what a spectacle she was for those moments! 6. 2008 Audi R8 - Iron Man – The dashing Tony Stark needed a car that was fast, sleek, and as debonair as he was. Although he had a Saleen S7 and AC Cobra in his pony barn, he chose the R8 and we couldn’t agree more. Very fitting for Iron Man’s alter ego. 5. Porsche 928 - Scarface – 1983 – Is there a more fitting car for a Miami gangster (and drug lord)? This was Tony Montana’s second car in the movie. He upgraded from a Caddy to a Porsche. We approve. 4. 1968 Ford Mustang GT 2+2 Fastback - Bullitt – 1968 – It isn’t an exotic, per se, but this Stang is exotic in its own rite and an iconic piece of auto movie history. Watch for yourself. Steve McQueen and the coolest car chase scene ever – who could ask for anything more? 3. Aston Martin DB5 - Goldfinger – 1964 – Yes, the DB5 has appeared in a number of James Bond movies, but this one is special because it was the first. It was specially modified specifically for the James Bond franchise. 2. Ferrari 250 GTO – Vanilla Sky – 2001 – Full disclosure, the Ferrari used in the movie, driven by Tom Cruise, was actually a kit car (built on a 1976 Datsun Z chassis). But really, we forgive the slight deception. 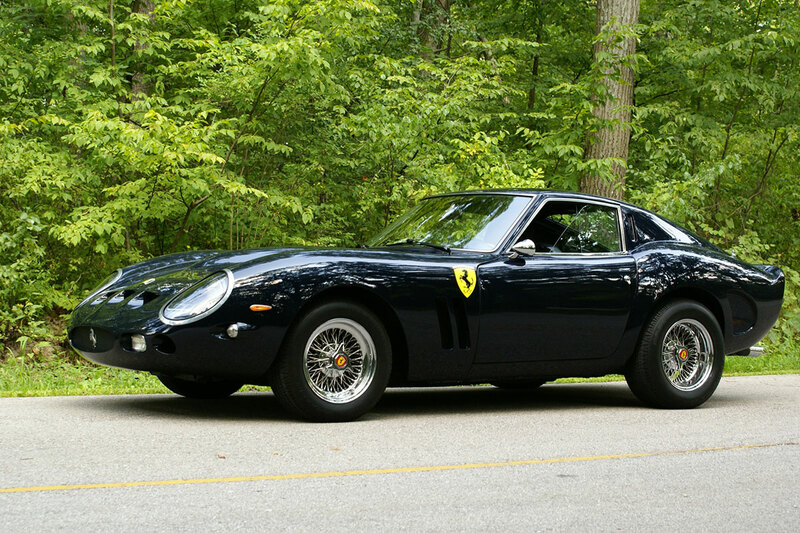 After all, this beauty is one of the more valuable, rarest cars in the world. We’re glad the moviemakers weren’t taking any chances! 1. 1970 Dodge Charger (plus a TON of other awesome cars!) - The Fast and the Furious – 2001 – No, the Charger isn’t exactly an exotic, but it is the beautiful centerpiece for a veritable buffet of exotic cars that viewers can feast upon throughout this film. In fact, it was so tasty, they just kept on adding to this iconic car movie franchise. Yum! Make your own movie or just feel like you’re in one with an exotic of your own. Woodside Credit can make it happen. Complete a Quick Quote or fill out an application to get started – and get a little closer to making your dream car a reality.